The backpack kid visited Dangerous in California. 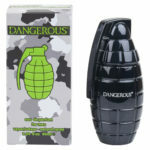 He took home the Dangerous explosion serious of colognes and perfume. 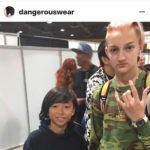 Enzo sporting his Dangerous Hoodie took a picture with the backpack kid. The backpack kid gave a shout out on Instagram. 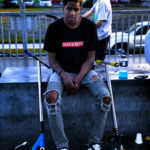 He is famous for his floss dance and just dropped his newest song swagpack.